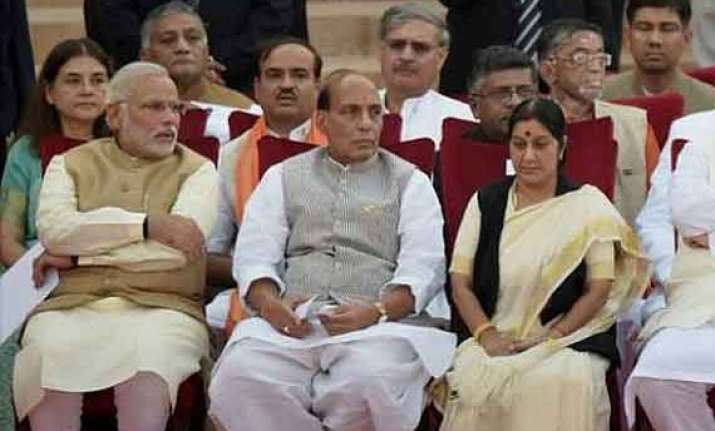 When the Bharatiya Janata Party (BJP) manifesto was released, Prime Minister Narendra Modi did not just set the party’s goals for the next five years. He, in fact, listed his party’s plans far ahead to 2047, offering a compelling vision of how he would steer India to a better future. It did not come as a surprise as PM Modi always kept his sights and vision far ahead. For the Swachh Bharat, which was announced in his first Independence Day address in 2014, PM Modi set October 2019 as the deadline to make India open-defecation free (ODF). In the third year of his term, he talked of ushering in a new Bharat by 2022. The recent was setting goals for 2047 when India completes 100 years of Independence. When the Modi government took over in 2014, it implemented a range of schemes and programmes to revive India’s economic growth, ensure employment to crores, eliminate cross border terrorism, curb corruption and black money flowing in the Indian economy among others. 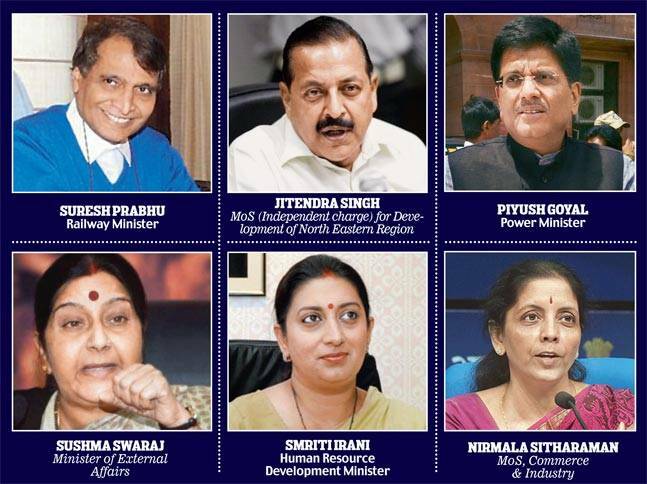 As the Modi ministers look for a second inning in the Indian politics, depending on the work they have done in last five years, here’s an account of how PM Narendra Modi’s ministers have fared from 2014 to 2019. In 2014, the Bharatiya Janata Party had promised to ‘reboot and reorient foreign policy’. Even as the threat from Pakistan and China remains, building a strong foreign policy seems to the Modi government’s biggest achievement in the last five years. Some of the highs from the External Affairs Ministry were: PM Narendra Modi’s visit to 93 countries in the last five years, outreach to the Arab world-Saudi Arabia, strengthening existing defence ties and others. The lows were: Revitalisation of SAARC which remains a challenge, China’s lack of support to vote Jaish-e-Mohammed (JeM) chief Masood Azhar as a globally designated terrorist and others. While it started with Smriti Irani’s controversial tenure and then the current MoS for HRD Satya Pal Singh dismissing Darwin’s theory of evolution, the one thing the Modi government fared in the Education ministry of its focus on enhancing the quality of education. To achieve this, the Modi government’s first step was the National Achievement Surveys for children-which proved how abysmal learning standards were carried out by the National Council for Educational Research and Training (NCERT). This led to the amendment in the Right to Education (RTE) Act, 2009 to include class-and subject-wise learning outcomes. Terrorism in Jammu and Kashmir continues to pose the greatest challenge to the Ministry of Home Affairs. Violence levels have climbed since the fresh upsurge in 2016, with fatalities reported from 16 of the state’s 22 districts. In 2018 alone, J&K recorded 614 terrorism-related incidents, an increase from 342 in 2017 and also the highest in a year since 2008. Een worrying figure if the number of people joining terrorist groups. In 2018, over 190 young people joined terrorist groups. Although the Modi government boasts of the work it has done for the development of the infrastructure in the country, segments like railways and telecom leave a lot that needs to be done. The government claims that it constructed 34 km of road a day in the last two years as compared to the 11.3 km under the UPA regime. In power, the Central government claims to have achieved 100 per cent electrification of India’s villages. Many independent reports have questioned the claims. In railways, on the other hand, the Modi government had announced an ambitious Rs 8.56 lakh crore project but only half the target has been achieved. There have been massive job cuts as well. 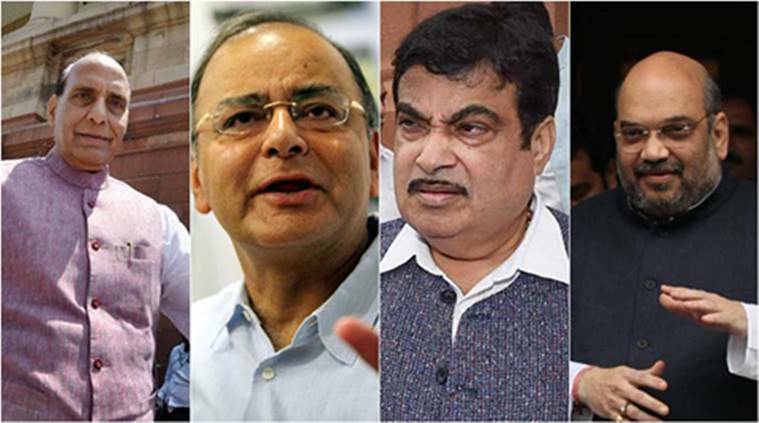 Before the February 14 Pulwama terror attack, the Modi government was on the back foot defending itself on the Opposition’s attacks on the lack of jobs, demonetisation, the controversial Rafale deal and the agrarian crisis. The airstrikes in Pakistan’s Balakot to eliminate the Jaish-e-Mohammed (JeM) terror camps, however, changed the political narrative the turned the world’s attention from economy to national security. The party’s manifesto has also emphasised how “the prime minister’s decisive leadership fundamentally altered India’s national security paradigm in the last five years”. Union minister of state for tourism (independent charge) KJ Alphons claims that tourism has created 13 million jobs in the past four years. A 2017 report of the World Travel and Tourism Council said that tourism, which is third largest foreign exchange earner, contributed over nine per cent to India’s GDP and provided eight per cent of the country’s employment. While the numbers are big enough to contribute to the Indian economy, the irony here is that despite the jump in rankings, less than five per cent of foreign tourists to the Asia-Pacific region visit India. The 2019-20 Union budget allocated Rs 2,189 for the development of tourism which is just 0.08 per cent of the total budget outlay of Rs 27.8 lakh crore. In 2014, Narendra Modi had made the economy a key election issue. He had also attacked the then UPA government on price rise, jobs, corruption and black money. To secure a second term, the BJP’s ‘Sankalp Patra 2019’ addresses economic issues such as the agrarian distress and jobs and also says that new employment opportunities will be created. In the last five years, even though India climbed the World Bank’s Ease of Doing Business rankings, moving up 23 places, the Indian business still seems to be mired in red tape. So goes for the Make in India initiative which was launched way back in 2014 to attract more investments in India. The Make in India, however, has not taken off. One of the reasons could be the slowdown in private sector investment. For this, the government’s Smart Cities Mission was launched in 2015. The government has, however, claimed that it will soon belt out “impressive” numbers, like in other programmes. “Every community toilet or every house we have built has been geo-tagged. Anyone can go and check. In an era of smartphones and social media, transparency is the only way we can function,” Union housing and urban affairs minister Hardeep Singh Puri said, emphasising that the numbers are not just on the papers. For a second term, the Bharatiya Janata Party has promised to allot Rs 25 lakh crore in rural development. In its first term, three flagship schemes – Pradhan Mantri Awas Yojana (Gramin), Mahatma Gandhi National Rural Employment Guarantee Act (MNREGA) and Prime Minister Gram Sadak Yojana (PMGSY) – of the Narendra Modi government were launched. When it was announced in 2015, the Modi government had promised to construct 29.5 million rural houses and 12 million urban houses by 2022. While the government claims to have constructed 14.3 million rural houses, the reality is only 60 per cent of the beneficiaries have received their final instalment. Read how the other schemes of the Modi government for rural development have worked. The Narendra Modi government had promised to double the farmers’ income by 2022. Despite the government’s promise, the agricultural growth rate at an average of 2.9 per cent from 2014 to 2019-has been much lower under this NDA regime compared to the UPA rule. The slow agricultural growth has been accompanied by serious dips in the wage growth of the farmers. This sector was also hit by two back-to-back droughts between 2014 and 2016. The objective of the Pradhan Mantri Jan Arogya Yojana aka Ayushman Bharat Yojana was to provide an annual Rs 5 lakh insurance cover to some 100 million poor families in India. The National Health Authority says that only 1.7 million received care since PMJAY’s launch in September 2018. The Centre’s contribution to the National Health Mission (NHM) also dropped from 60 per cent in 2014-15 to 50 per cent in the 2019-20 interim budget. The government’s objective was also the creation of 150,000 wellness centres. The target is unlikely to be met due to a funds crunch as the NHM budget for this year – Rs 31,745 crore – barely crosses the spend in 2017-18 i.e., Rs 31,510 crore.